If you would like to support our work at St James' Birkdale you can donate directly from your mobile phone by sending a text message to 70070. 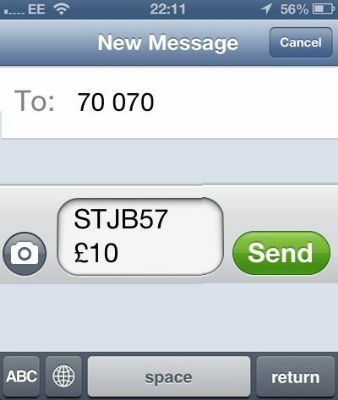 Just text STJB57 followed by the amount (maximum £10). If you are a UK tax payer please don't forget to Gift Aid your donation when prompted to do so.